The Food Safety Authority of Ireland (FSAI) is increasing awareness of butter-labeling regulations for Irish supermarket manufacturers as it believes many are in breach of EU rules. It issued a warning to the manufacturers of fat spreads on the Irish market that are using derivatives of the word ‘butter’ on their label that they may be in breach of EU directives. 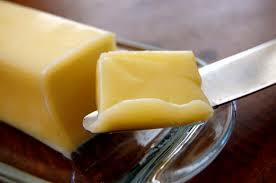 Under EU rules, only products with 80 per cent dairy fat are legally entitled to be called “butter” under EU rules. According to the FSAI, a survey of spreadable fats onsale in various supermarkets in Dublin indicate that there is widespread use of the term ‘butter’ and its derivatives on products that do not qualify as butter under the legislation. It also added that the use of words such as ‘buttery’ may be a breach of the relevant EU directive.